As my exposure increases, I am becoming a big fan of comic anthologies. Fairy Tale Comics appealing and diverse line up of authors & illustrators can almost guarantee engagement from a diverse scope of readers. I appreciated how there was a fairy tale origin reference written outside the panel, and the unique scope of the illustrations, that capture the voice of the tale and the characters in it. These graphic anthologies have high interest and although the stories work alone, reading them all is irresistible, leaving the reader with much to synthesize and think critically about. These Fairy Tales are not just for little kids...where they ever? 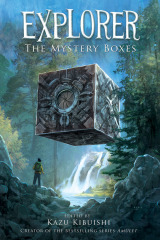 Seven stories try to answer the same question, "What's in the box?". This graphic anthology is edited by Amulet series author, Kazu Kibuishi (2012). 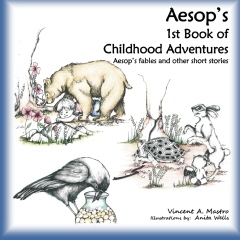 It is exciting to be able to recognize different illustrators outside the pages of their own books, while reading an anthology. Explorer has a wide range of appeal.